We looked at the top 1 Packing Cubes and dug through the reviews from 8 of the most popular review sites including BestReviews, Best Reviews Guide, Review Finch, An Epic Education, Chasing The Unexpected, Thither and more. Through this analysis, we've determined the best Packing Cube you should buy. 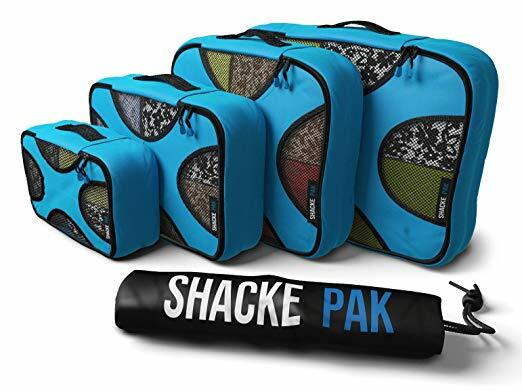 This six-piece set of color-coordinated packing cubes, made of lightweight nylon, boasts incredible durability. The fully finished interior seams feature secure YKK zippers that open and close easily. They also transform into easy-to-use drawers for unpacking in hotels throughout a trip. Plus, they come with a manufacturer-backed lifetime guarantee. In our analysis of 65 expert reviews, the eBags eBags 6-Piece Packing Cubes placed 1st when we looked at the top 10 products in the category. For the full ranking, see below. Once you’ve experienced eBags Packing Cubes, you’ll wonder how you ever traveled without them. Not only do they keep everything contained in your luggage but they maximize valuable packing space. And you’ll appreciate them immensely if ever randomly selected for TSA inspection – best to keep your unmentionables discreetly tucked into an eBags packing cube! Once you arrive at your destination they become drawers for your drawers – unpacking is a snap.